In the tenth chapter of the book of John, verse 10, Jesus shares these words; "I came that they may have life, and have it abundantly." It is by this example the United Methodist Church's Imagine Abundant Health Campaign is modeled. Focusing on children and vowing to "reach one million children with lifesaving and health promoting measures," the Global Health Unit (health arm of the UMC) has identified four areas of concentration. These are: Ensure Safe Births, Increase Breast Feeding, Prevention and Treatment, and Children's Health. Mozambique and Chicuque Rural Hospital have the honor of being one of the six pilot countries to bring this program to fruition. Celebrating 105 years in 2018, Chicuque Rural Hospital has been a fixture in the community for Inhambane Province of Mozambique. In 1913 German Missionary Dr. Charles Stauffacher begin giving medical care to the population focusing on cases of leprosy and tuberculosis. This work was centered at the Methodist Mission of Chicuque. The following year, 1914, the hospital was built. Fast forward to 2018, the hospital has survived the decolonization of Portugal in 1975 and a 27 year civil war which ended in 1992 and the nationalization of health care by a young government. 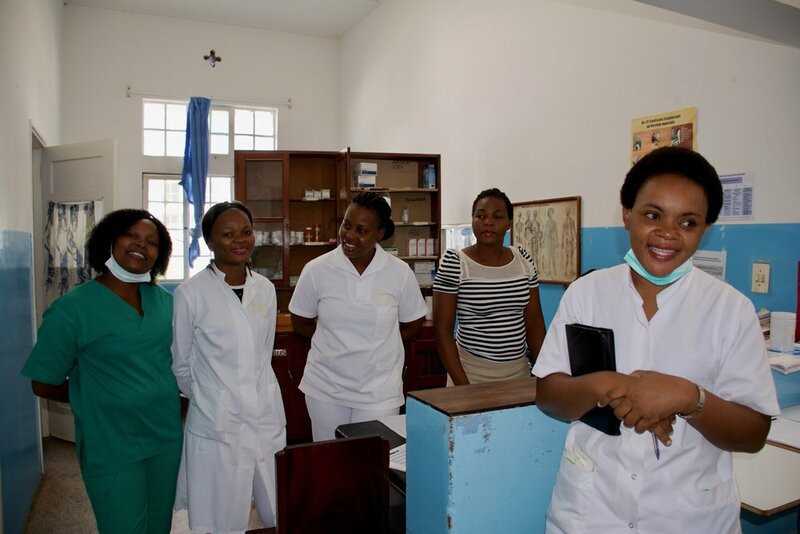 Now a full partnership with the United Methodist Church of Mozambique and governed by a joint commission of Ministry of Health and the UMC Health Board, the hospital continues to work towards quality care to a population of 300,000. The 150 bed hospital averages 200 births monthly, 130 surgeries both elective and urgent, a 24 hour emergency room and pharmacy, diagnostic laboratory, and department of dentistry.